The Reformation, Astrology, and Mathematics in Schools and Universities. It is one of the ironies of the medieval universities that mathematics played almost no role in undergraduate education. It is ironical because the curriculum was nominally based on the seven liberal arts of which the mathematical sciences – arithmetic, geometry, music and astronomy – formed one half, the quadrivium. Although the quadrivium was officially a large part of the curriculum in reality the four mathematical disciplines were paid little attention and hardly taught at all. This only began to change in the fifteenth century with the rise of astro-medicine or iatromathematics, to give it its formal name. With the rise of this astrology-based medicine the humanist universities of Northern Italy and Kraków introduced chairs of mathematics to teach astrology to their students of medicine. This of course entailed first teaching mathematics and then astronomy in order to be able to do astrology and thus mathematics gained a first foothold in the European universities. 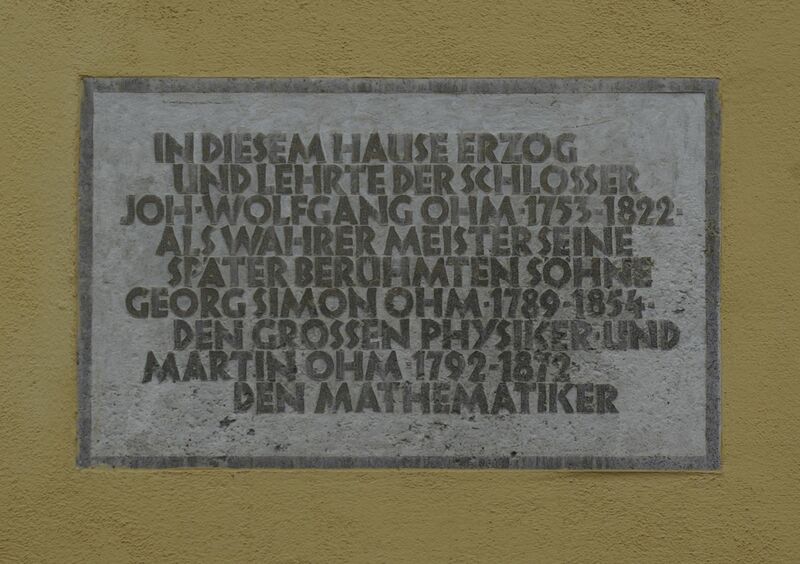 Ingolstadt became the first German university to introduce a chair for mathematics, also for teaching astrology to medical students, in the 1470s. It became an important centre for seeding new chairs at other universities with its graduates. Stabius and Stiborius going from there to Vienna with Celtis, for example. However there was no systematic introduction of mathematics into the university curriculum as of yet, this would first come as a result of the Reformation and the educational reforms of Philip Melanchthon. Melanchthon in 1526: engraving by Albrecht Dürer Translation of Latin caption: «Dürer was able to draw Philip’s face, but the learned hand could not paint his spirit». Melanchthon was born Philip Schwartzerdt in Bretten near Karlsruhe on 16 February 1497. 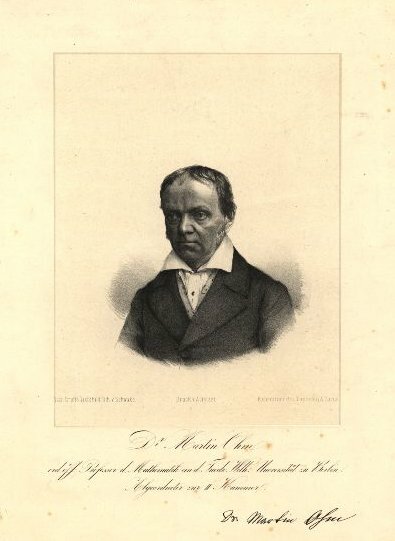 A great nephew of Johann Reuchlin a leading humanist scholar Philip changed his name to Melanchthon, a literal Greek translation of his German name, which means black earth, at Reuchlin’s suggestion. Melanchthon was a child prodigy who would grow up to be Germany’s greatest humanist scholar. He studied at Heidelberg University where he was denied his master degree in 1512 on account of his youth. 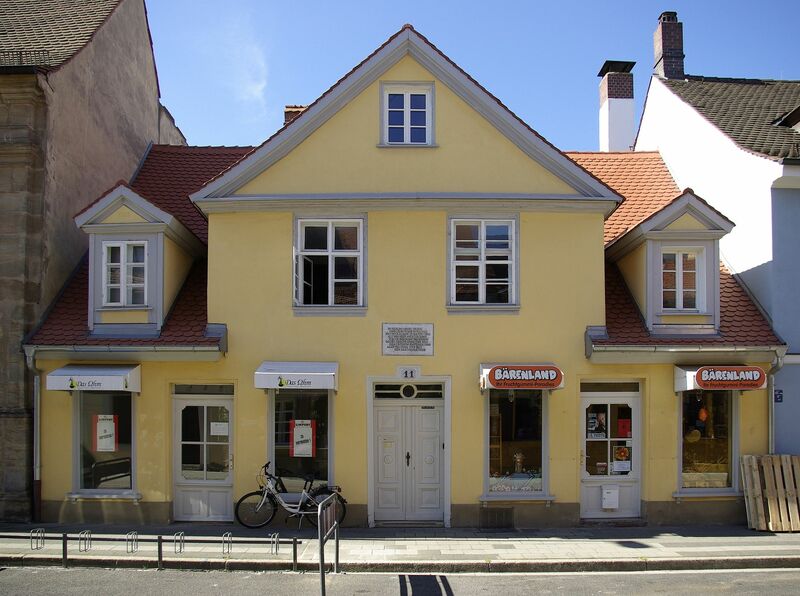 He transferred to Tübingen where he came under the influence of Johannes Stöffler, one of those Ingolstadt graduates, a leading and highly influential mathematician/astrologer. The cosmograph Sebastian Münster was another of Stöffler’s famous pupils. Stöffler also has a great influence on several of the Nürnberger mathematician-astronomers, especial Johannes Schöner and Georg Hartmann. Under Stöffler’s influence Melanchthon became a passionate supporter of astrology. On Reuchlin’s recommendation Melanchthon became professor of Greek at Luther’s University of Wittenberg at the age of twenty-one and thus a central figure in the Reformation. One of the major problems faced by the reformers was the fact that the education system was totally in the hands of the Catholic Church, which meant that they had to start from scratch and create their own school and university system; this task was taken on by Melanchthon, who became Luther’s Preceptor Germania, Germany’s Schoolmaster. Because of his own personal passion for astrology Melanchthon introduced mathematics into the curriculum of all the Lutheran schools and universities. He invented a new type of school on a level between the old Church Latin schools and the universities that were devised to prepare their pupils for a university education. 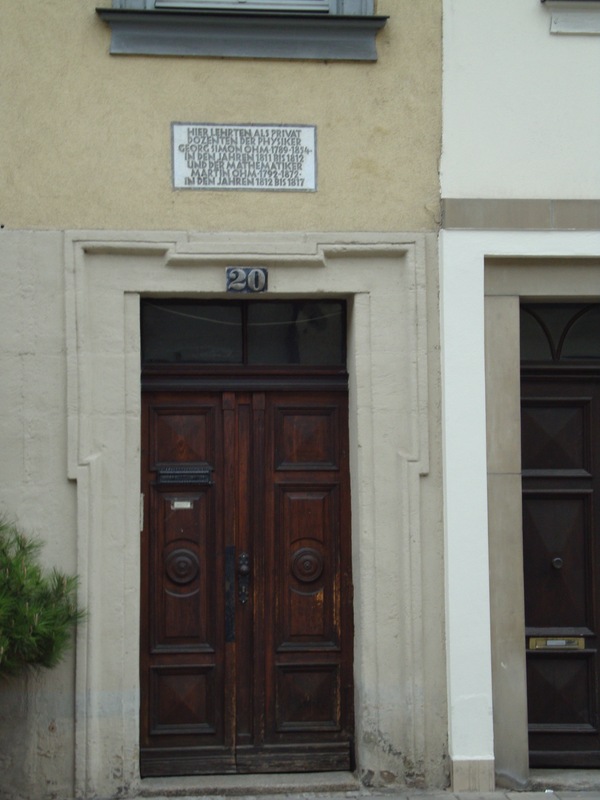 The very first of these was the Eigidien Oberschule in Nürnberg, which opened in 1526 with Johannes Schöner, as its first professor for mathematics. These type of school created by Melanchthon would become the Gymnasium, still today the highest level secondary schools in the German education system. 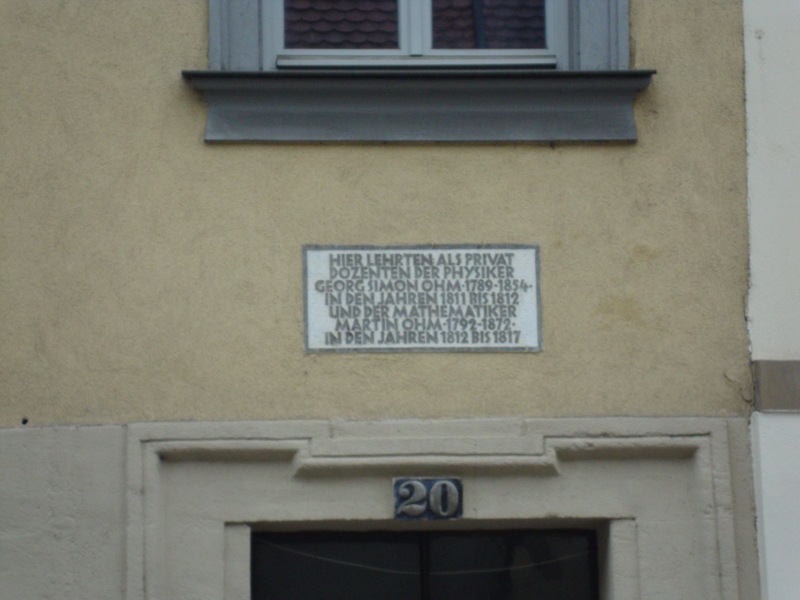 In Wittenberg he appointed Johannes Volmar (1480-1536) professor for the higher mathematic, music and astronomy, and Jakob Milich (1501- 1559) professor for the lower mathematic, arithmetic and geometry, in 1525. Their most famous students were Erasmus Reinhold, who followed Volmar on the chair for higher mathematics when he died in 1536, and Georg Joachim Rheticus, who followed Milich on the chair for lower mathematics, in the same year when Milich became professor for medicine. Schöner, Reinhold and Rheticus were not the only mathematicians supported by Melanchthon, who played an important role in the dissemination of the heliocentric astronomy. Although following Melanchthon’s lead these Protestant mathematicians treated the heliocentric hypothesis in a purely instrumentalist manner, i.e. it is not true but is mathematically useful, they taught it in their university courses alongside the geocentric astronomy. As a result of Melanchthon’s passion for astrology the Lutheran Protestant schools and universities of Europe all had departments for the study of mathematics headed by qualified professors. The Catholic schools and universities would have to wait until the end of the sixteenth century before Christoph Clavius did the same for them, although his motivation was not astrology. Sadly Anglican England lagged well behind the continent with Oxford first appointing professors for geometry and astronomy in the 1620s at the bequest of Henry Savile, who had had to go abroad to receive his own mathematical education. Cambridge only followed suit with the establishment of the Lucasian Chair in 1663, whose first occupant was Isaac Barrow followed by that other Isaac, Newton. In 1705 John Arbuthnot could still complain in an essay that there was not one single school in England that taught mathematics. Henry and Isaac invade Oxford. There is subject well known to all blog owners that I have never talked about, spam; I get two different varieties here at The Renaissance Mathematicus. The first is spam comments, which turn up in a never ending stream but which mostly end up in Word Press’ apparently efficient spam filter. Very occasionally one or two get through and I have to weed these out from underneath whichever post they have chosen to enrich with their presence. Otherwise the only real problem I have is remembering to regularly check the spam filter for non-spam and send the rest of its contents off to rot in cyber-hell until that day dawns when the Internet is turned off forever. Maybe I shouldn’t say this but I think that the spammers might be more successful if they didn’t have email addresses such as purchase@cheapviagra.com, just a thought. The second type of spam I receive as a blogger is in the form of emails. These are emails from people trying to get me to either let them advertise or publish something on my blog or link something to it. Again these people might be more successful if the things that they were offering and which they are so convinced that I will find interesting were actually related in anyway to the content of my blog, they never are. As a blogger I get another type of email, ones that are invariably addressed to Professor or Doctor or even in German style to Professor Doctor. I wouldn’t mind them awarding me illusionary titles that I don’t possess, and almost certainly never will, if only they would show a little imagination in addressing me, after all professors and doctors are two a penny. Were I to get an email addressed to Our Glorious, Benevolent, Gracious, Omniscient and Wise Leader in this Age of Darkness I might just be tempted to respond, but they never do and so I don’t. The emails addressing me with imaginary academic titles usually invite me to contribute articles to their prestigious academic journal that well-known rival to Nature and Science, The East Krakatoa Journal for Island Approaches to the Philosophy of Renaissance Mathematics. Dear editors, to paraphrase Groucho Marx, “I would never submit an article to a journal that would publish anything written by me”. All of these spam emails get dispatched forthwith to cyber-hell unread, unanswered and with all links left strictly unlinked. I can spread my own viruses, thank you. For those not in the know Henry and Isaac are two of the Renaissance scholars who make you turn green with envy. Each of them was brainy enough to win a round of University Challenge on their own without teammates and each of them mastered enough academic disciplines to fill a small encyclopaedia on his own. 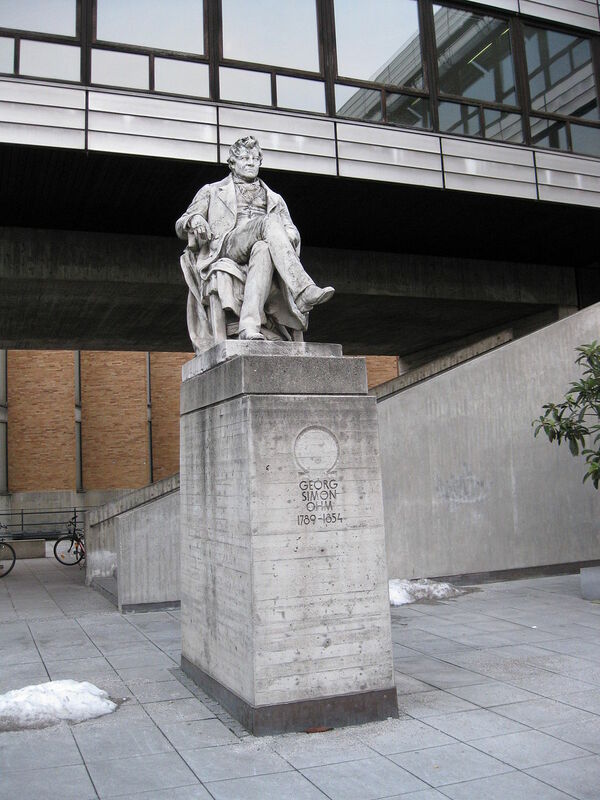 Isaac Casaubon was a French Huguenot classical scholar, philologist, historian and theologian born to refugee parents in Geneva. Home educated until he entered the University of Geneva aged seventeen were he studied Greek and was recommended for the chair in Greek only four years later. He was a consummate classical scholar and philologist whose main occupation was the translation, editing and publication of classical Greek text. He worked most of his life in Switzerland and France torn and troubled by the religious conflicts of the age. Regarded at his intellectual peak as one of the most learned men in the whole of Europe the Catholics, Lutherans, Calvinists and Anglicans all competed with offers of jobs, money and other inducements to win him as a propagandist for their cause. The situation has strong similarities to the attempts today of leading European football clubs to induce a star striker to sign for them and not one of their rivals. During the religious upheaval in Europe in the Early Modern Period a star polemicist was regarded as a good catch by the rival religious communities. In the end the political pressure in France caused him to move to England in 1610 were he died four years later. As a historian of science my main interest in Casaubon is his De rebus sacris et ecclesiasticis exercitationes XVI published in 1614 in which he proved by philological analysis that the Corpus Hermeticus, one of the most influential collection of texts in the Renaissance, was not as ancient as claimed but was in fact a product of late antiquity. This was a key moment in the evolution of the discipline of history, applying scientific, philological analysis to texts to determine their age. I can’t leave even this brief account of Isaac Casaubon without mentioning his son Méric, who was the man responsible for ruining John Dee’s reputation. Despite all of the misfortunes that befell him in later life, in the early seventeenth-century Dee still enjoyed a good reputation in England for his work in the mathematical sciences. Around 1650 more and more people were starting to question the existence of ghosts, witches and other aspects of the occult. Deeply religious people, of whom Méric was one, were worried that this was the thin edge of the wedge that would inevitably lead to atheism. To counter this tendency Méric published John Dee’s Angel Diaries, his account of his conversations with angels, which up till then had remained largely unknown. Méric’s intention was that Dee’s accounts should act as a proof, from a reputable scholar, that the world of spirits is real and not to be questioned. Méric’s attempt backfired ruining Dee’s reputation causing people to forget the mathematicus and only remember the notorious Renaissance magus that he now became for the next four hundred years down to the present day. Henry Savile was educated at Oxford and, self-taught, began to lecture there on astronomy at the age of 21 in 1570. He not only lectured on Ptolemaeus but also on the works of Regiomontanus and Copernicus, real cutting edge at the time. In 1578 he went on a grand tour of Europe meeting with and learning from the leading continental mathematicians; a necessary move for anyone interested in the mathematical sciences in England at that time as England was an intellectual backwater in terms of mathematics. On his return to England, in 1582, Savile was appointed Greek tutor to Queen Elizabeth. Later he became both Warden of Merton College Oxford and Provost of Eaton. Like Casaubon, with whom he was acquainted, Savile was a classical scholar and philologist but it is for his contributions to mathematics that he is best remembered. Appalled by the primitive level of mathematics teaching in England in comparison to the continent he established the first two university chairs for the mathematical sciences in England in 1619, the Savilian Chairs for Geometry and Astronomy at Oxford. In the seventeenth-century many of England’s leading mathematicians occupied one or other of these chairs including such figures as Henry Briggs, John Wallis and Edmund Halley, whose adventures sailing around the Atlantic you can follow on Twitter (@HalleysLog). Both Casaubon and Savile are fascinating figures, who lived in and contributed to a period of great intellectual change in European history and I’m sure the Merton College conference on these two intellectual giants will be a stimulating and informative experience. If I had the time and the money, and I don’t have either, I personally would love to take part and I can only recommend that those who do have the time and the money to do so. Unfortunately, I only got the information on the conference today and if you want to take advantage of the early booker rebate you only have until tomorrow to do so! You know which group was also ridiculed, even until the mid-1800s? Medical doctors. Many people thought Harvard was out of its mind creating a medical school in 1782, but they took it seriously and within a few generations medicine had put quacks on the fringes and adopted evidence-based practices. Before then, legitimate doctors were Ph.D.s and Medical Doctors were that other thing that didn’t count. Today, though, if you say doctor people assume you are an M.D. The whole of this is so mind bogglingly wrong that it is not even worth criticising except to say that if it were written on paper I would flush it down the toilet. Now I haven’t change my mind on the quality of this little turd of a paragraph but it occurred to me that some of my readers might not understand why I’m so negative about it, not possessing the requisite knowledge of the history of universities and the award of doctorates. However before I explain that I will address the charge of medical doctors being ridiculed. Now it is true that medical practitioners have been ridiculed throughout history but then again so have scientists and philosophers as well as many others. One of the legends about Thales, supposedly both the first philosopher and the first scientist in ancient Greece, tells how one day he was so obsessed with observing the stars that he didn’t look where he was going and fell down a well. This story was not told to illustrate Thales’ dedication to science. There are many tales by prominent thinkers in ancient Greece and Rome ridiculing physicians but many of those physicians were also highly regarded, had significant social influence and were often wealthy. The same is true of physicians in the High Middle Ages, the Early Modern Period etc. etc. Even today ridiculing medical practitioners is a popular sport amongst journalists and other social commentators. However such ridicule has never had a negative impact on the academic status of medical doctors, which brings us to the real reason why the offending paragraph is total crap. Universities were a European creation beginning in the twelfth century CE. There had been earlier institutes of higher education in other cultures but what I’m discussing here applies specifically to the European universities as they emerged in the High Middle Ages. When fully developed the medieval university had four faculties the first of which was the lower or philosophical faculty. Students began their studies in the philosophical faculty whose curriculum was officially based on the seven liberal arts, the trivium – logic, rhetoric and grammar – and the quadrivium – arithmetic, geometry, music (the mathematical theory of proportions) and astronomy. In reality the course consisted almost entirely of the trivium taught on the basis of the works of Aristotle and his commentators. Students who completed this course were awarded a BA degree. Some would now leave the university, those that stayed continued in the philosophy faculty doing an advance course of study much the same as the previous one, which closed with an MA degree. These students were now qualified to teach the BA courses in the philosophy faculty. Those that stayed at the university to continue their studies would now teach the undergraduates whilst pursuing a course of study at one of the three higher faculties, these being the theology faculty, the law faculty and the medicine faculty. Here the advanced student would follow a long course of study passing through BA and MA degrees to finally graduate with a doctorate. The doctoral degrees were respectively doctor of divinity or theology, doctor of law (civil or canonical), and doctor of medicine. The medieval university awarded no other doctoral degrees and certainly no doctorates in philosophy. This model remained basically unchanged, although with some changes in course content, up to the beginning of the eighteenth century. Newton’s Cambridge, for example, was in essence a medieval university. Being created by Europeans the American universities, of which Harvard was the first, followed this European model. Like their medieval European predecessors they tended to start as a theological seminaries intended to train people for the church. 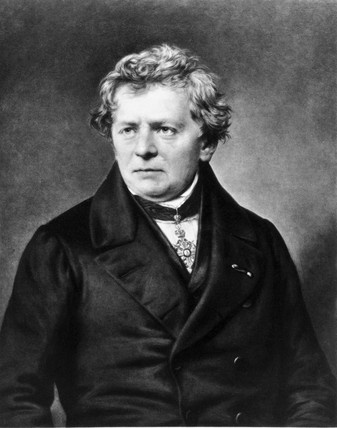 At the beginning of the nineteenth century the German universities undertook a radical reform based on the pedagogical concepts of Wilhelm von Humboldt, as part of this reform they introduced a new doctorate in philosophy the Ph.D. The first three American Ph.D.s were awarded by Yale University on July 25th 1861. I can’t comment on Campbell’s claims of opposition to the Harvard School of Medicine and an intensive Internet search has failed to turn up anything on a controversy or similar before, on, or after the founding of this august institution. There were almost certainly some who were opposed to the project, as there are always some opposed to any major new project that any university undertakes; the money would be better spent on… etc. etc. Whatever the case maybe I’m fairly certain that there was no significant opposition to the proposed school of medicine based on a poor opinion of medical practitioners.